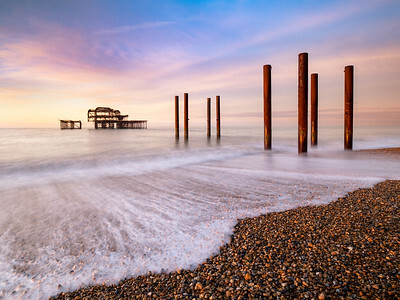 Winter sunrise at the old Pier, Brighton. 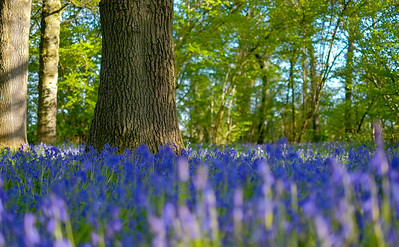 Bluebells in a wood near Brighton. 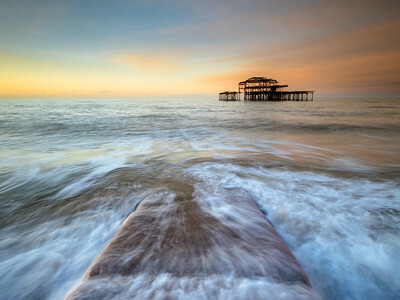 Water rushing over a stone jetty at the old Pier, Brighton. 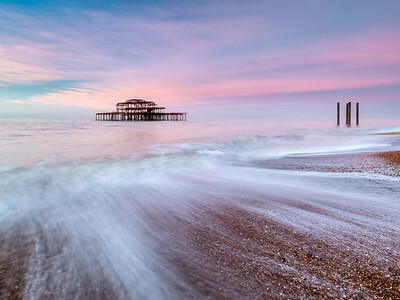 Pink sky over the old west pier at sunrise. 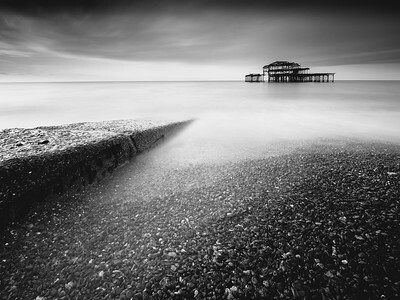 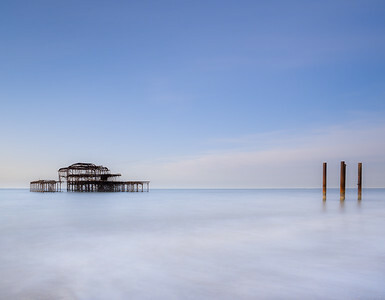 The old West Pier and what remains of the supporting posts at dawn.